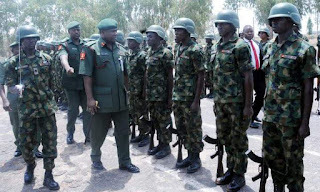 The Nigerian army council on Monday approved the promotion of 137 of it's senior officers. 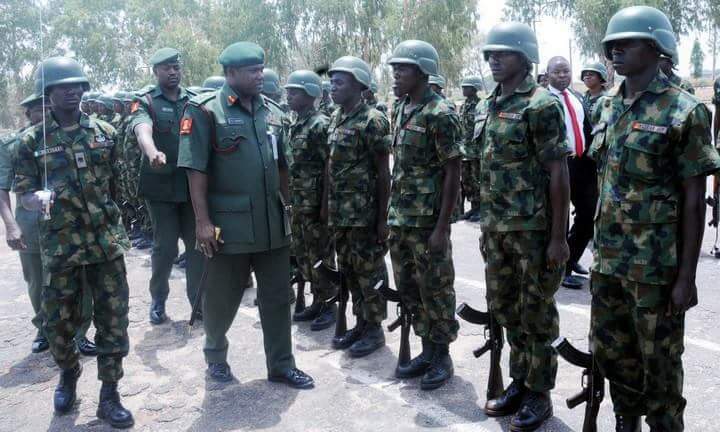 The council approved the promotion of 45 Brigadier Generals to the rank of Major Generals and 92 Colonels to the rank of Brigadier Generals. The announcement was made in a statement by Brigadier General Sani Kukasheka Usman, Director Army Public Relations. Brigadier General AA Jidda; Acting Commander Nigerian Army Corps of Supply and Transport. Acting Chief of Accounts and Budget (Army), Brigadier General JE Jakko. Brigadier General MS Yusuf, Commander Guards Brigade. Late Brigadier General BA Raji, was promoted posthumously. Brigadier General OF Azinta, Commandant Martin Luther Agwai International Leadership and Peacekeeping Centre, Commandant Nigerian Army School Infantry, Brigadier General J Sarham; Brigadier General TA Gagariga, Commander Nigerian Army School of Artillery; Brigadier General LF Abdullahi, the Acting Commander Nigerian Army Education Corps; Brigadier General JGK Myam, Acting Director Operations and Brigadier General US Yakubu, Acting Director Peacekeeping Operations, were also promoted. Others include Colonels UI Mohammed; Colonel NU Mukhtar; Colonel OG Onubogu; Colonel ST Shafaru; Colonel GG Shipi; Colonel AS Ishaq of 8 Division Provost Group; Colonel AOI Kalajaiye; Colonel JC Mbibi, Colonel JTE Chukwu, Colonel HA Gambo and Colonel LB Mohammed, amongst others..